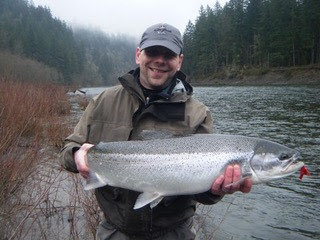 A nice Sandy River Hatchery Steelhead taken during the drop after a large winter storm. During the months of December and January In the Pacific Northwest river levels spike then drop quickly, there’s a word for this is; volatile. 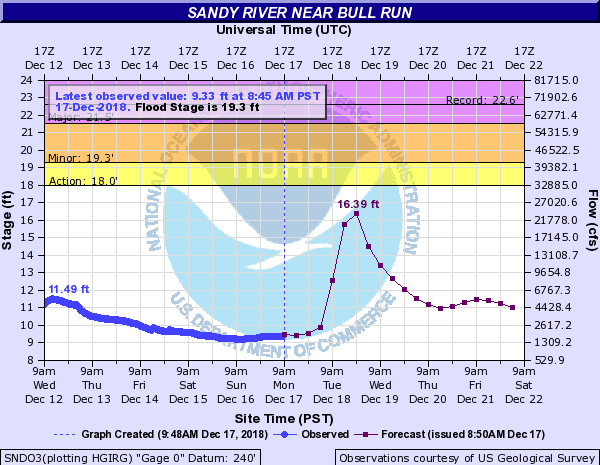 We are in a cycle of river level volatility (see graphs). Volatility presents some very good opportunities. 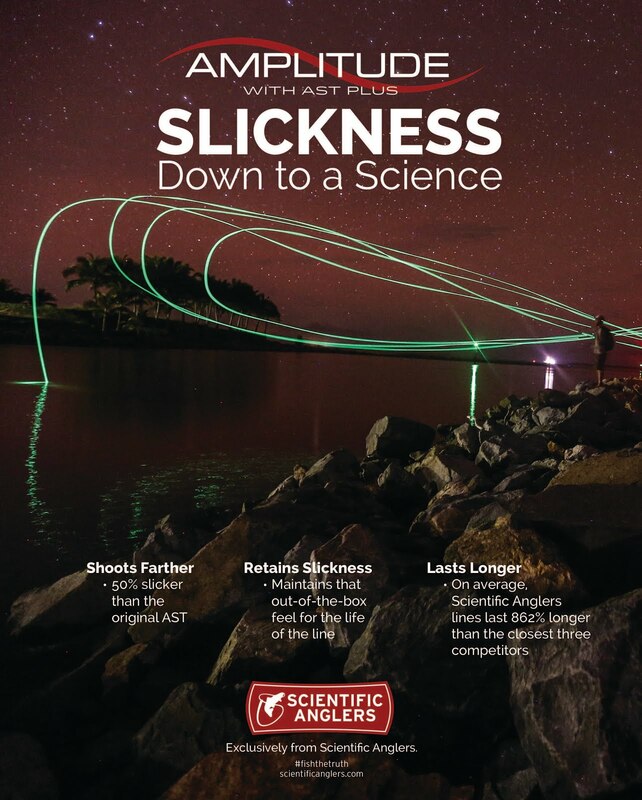 With each storm rivers jack up, fish enter the systems, the rivers drop then stabilize, we go fishing. Last week we had a large spike in river levels, then the rivers dropped into shape and next to low and clear. Another spike, a much larger spike is coming this week. 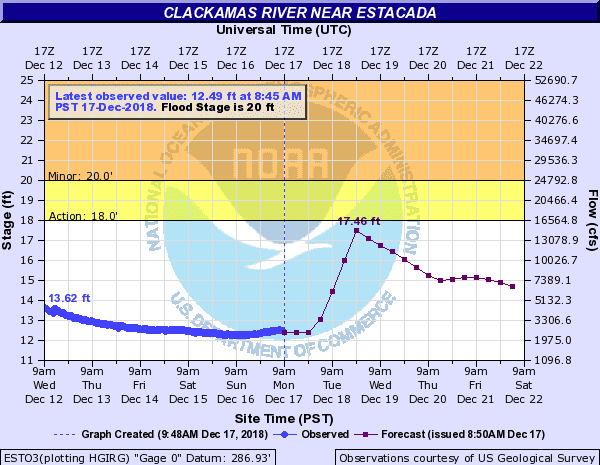 Expect rivers to hit blow out levels for most the week, depending on the river. 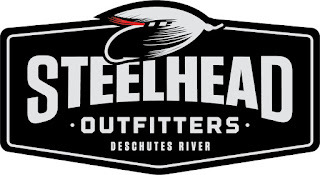 By the end of the week maybe the weekend there should be some good opportunities to catch a nice bright winter Steelhead. Winter Steelhead. Sink tips and big flies are the way for fly swingers for the next several months, I like Skagit heads, especially the Skagit FIST for a wide range of winter conditions. The Deschutes is still kicking out some late summer steelhead in the Maupin area, expect little competition from other anglers. 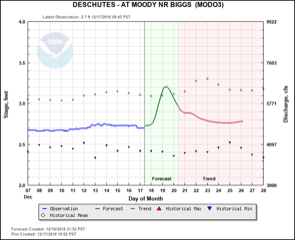 Current flows are 4900 at the Moody gauge which is very fishable. I’d also recommend bringing your trout gear if your gonna make the trip. Trout fishing on the Deschutes during the winter can be very productive. I like to swing flies on a trout spey, don some nymph fishing, and be ready for a blue wing olive hatch. The John Day river is running a very slow 260 cfs and reports have been poor. 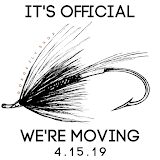 The Klickitat closed December 1st and will not re-open until June 1 2019.